With high levels of competition and the explosion of demand for prepared food, innovative thinking as well as technology are key for enabling brands and independents to stand out from the crowd. Over the last decade there has been an unprecedented growth in the entire foodservice industry, we have seen a consistent growth in the number of people eating out every year. Changing mindsets, habits and of course an increase in disposable income have created an opportunity for the development of many exciting and attractive restaurant concepts with the aim to engage potential clients. In response, the global marketplace has responded to this new opportunity with many new brands being born. Existing brands have evolved and refurbishing, some undertaking international expansion to flood other markets. In the UK alone, around 60% of the market is comprised of small restaurant and Gastro pubs. In parts of continental Europe such as Turkey and Greece, that percentage is even higher creating greater competition and the need for engagement and the differentiation. We have a wide range of styles, From the quick service restaurants (QSR) and street food (SF) style eateries, to more refined dining experiences. There is a lot of consistency in the approaches taken by the industry leaders. In order for restaurants to compete in such a booming space as well as remain relevant and appealing to the next generation of younger “tech savvy diners”, restaurants are embarking widespread refurbishment of the outlets, including overhauling the interaction presentation process. These diners want a more digitally autonomous, interactive entertaining and self-determined dining experience. For restaurants there is need and opportunity to use display projection technologies to improve visual communications and create more dynamic and adaptive customer information service points. Take into consideration the world’s largest QSR brands; they have undertaken a broad update of decor and soft furnishings in the last decade and am now rolling out a variety of digital display technologies to update the one remaining legacy customer experience – point of sale. It is an important time to undertake this update, consider widespread change not just to the décor and clientele but also to menu options. There are various points both inside and outside restaurants where these transformations are taking place. Focusing on quick service restaurants, the challenge of presenting different managed to customers at different points of the day breakfast lunch and dinner or late-night has traditionally involved rotating printing display boards or swapping out posters menu cards. This is a time-consuming process involving paper and poster stock that deteriorates over time, not to mention the mistakes which are expensive and time-consuming to correct. The introduction of 1080p and 4K Ultra high-definition display technologies combined with low cost and low profile computers and video display devices have replaced the revolving above counter displays and wall mounted menus. The evolution of almost bezel-less 40inch+ high resolution display units means that the same high quality of image and clarity of text offered by printed poster can now be achieved on a digital display. The removal of rotating displays and poster boards also eliminates potential hygiene risks as well as health and safety flashpoints from the restaurant, with rotating displays presenting as a bacterial transfer point if not meticulously cleaned and maintained. On a more practical level, the high position of rotating displays above customers often requires the use of the step ladder for the tool to enable reach creating heightened safety risks, digital displays however require no physical contact update immediately remove all these factors from operational risk assessments. At the same time printing and transporting costs of the stock paper posters and menus are also eliminated contributing to improve return on investment (ROI). Alongside modernising and digitising customer information displays, large format, high resolution displays also present another major advantage to restaurants, this is self-service QSR’s already tap into the self-service space by dispensing with the tablet service in most instances. However, using large touch-driven displays it is now possible to create a customer friendly, interactive and data rich self-ordering process. This process not only allows for an overall reduction in sales staff costs, but also allows for the redeployment of staff from the cash register to the food preparation and counter fulfilment tasks. As the number of guests increase, do not forget the importance of Customer Service. Think about how to improve the connectivity between your customer, the extensive menu, the time waiting for the food to arrive and reduce communication mistakes during the order process. Touchscreen’s can not only provide a visual and interactive ordering experience: they also facilitate automated and smart upside in terms of cross selling and up selling. Ordering systems could respond intelligently and maybe suggest frequent or additional purchases, or include a customers purchase history into conjunction any loyalty card scheme you may operate. Knowing the customer is nothing new but in a digital POS environment there is more scope to further develop the average customer relationship and build a more detailed digital profile, as well as gaining broader analytics for the business around 12 times, most of the items, abandon baskets etc. Digital displays can enable customers to cycle through the different menu options based on the time of day. For example, background colour changes, brightness and contrast settings to suit a particular locations to call a natural lighting, addition of local specials, localised pricing to respond to local competition, special events and other spot promotions. There is also potential to re-purpose or multipurpose digital displays, with some screens be used for promotional the poster displays during the day because later on be used to show music videos or sporting events in the evening to entertain a different style customer. The entertainment potential of modern-day displays and projection technology cannot be underestimated, re-purpose displays at different times for entertainment purposes can help create a different ambiance, such as children’s programming, music videos, sports, news and targeted advertising and restaurant specific television programming. This may also attract different clientele as your restaurant moves from breakfast to lunch and dinner services. Since display and motion sensitive units also allow other family friendly entertainment options including gaming or verification of ordering as well as enabling art installations. The use of advance and announced the technology is helping operators create more flexible and customer centric learning environments, with customers looking for a new and more exciting dining experience. 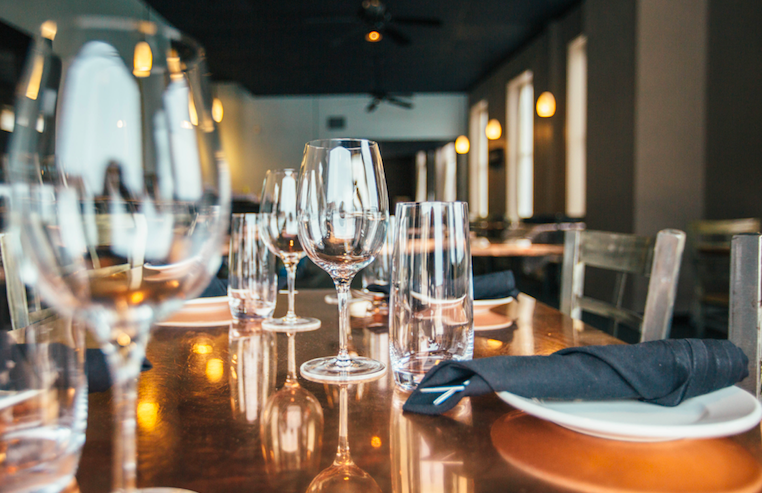 Embracing what digital offers real-time foodservice sector restaurants have the opportunity to present diners with a more vibrant and interactive ordering process as well as adding to the décor and ambience of the venue. All these things only work when you are speaking in a manner that your customers understand and can align with. Consider telling your guests about the story of your brand, allow them to embrace the story and relate to the roots and values in it. Share even the organic details of the produce you are using as ingredients. Let them become part of your story and you will find them become much more than just customers, they will become your biggest advocates and ambassadors.